I love throwing a good party. Right now I’m in the middle of planning our annual “very merry cocktail party” and enjoy every minute of it. Wedding planning was a dream with all of the fun little details! 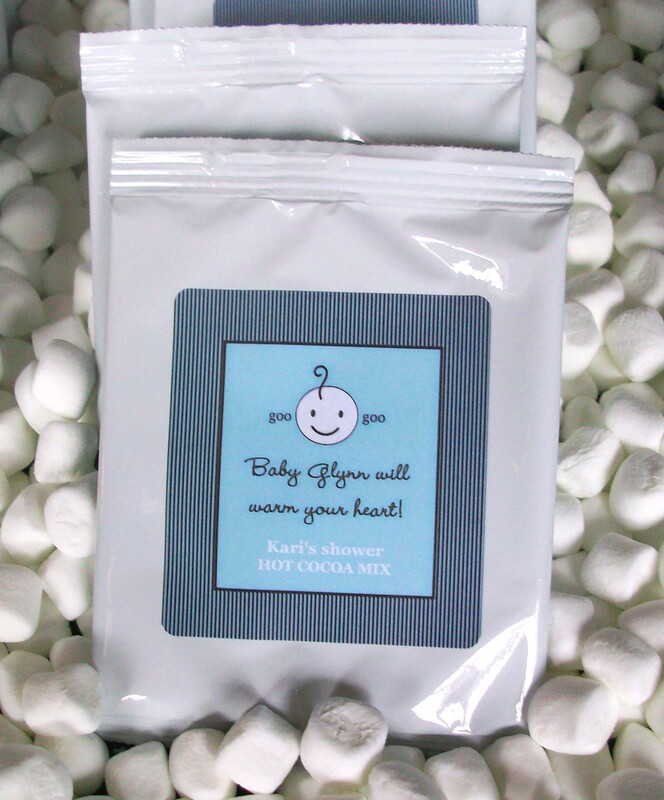 So, when I first found out my good friend Kari was expecting a little one, I offered to throw her a shower immediately and lucky for me, she accepted my offer. Kari-mommy-to-be and my rockin' fancy friend! And for this shower, like so many others, I knew just who my partner in crime would be. Meadow, my friend since junior high, has always been my shower-throwing partner. And this time it was mandatory because Meadow and Kari are sisters. Meadow and I have the same party planning style and both really appreciate the value of the little details including a good bar (or in this case, a signature drink) at any party! Party favors: Hot cocoa personalized favors in a tray with marshmallows for added detail! Signature drink: Bubbly bar with raspberries, bubbly including cava, prosecco and champagne and non-alcoholic sparkling sodas and juices so even the mommies-to-be could enjoy a babytini! And there were lots of hot mamas-to-be in attendance. Games: Guess the baby food flavor (all vegetarian-no chicken wild rice mush for my party guests) and what did baby eat which includes diapers with melted candy bars. Some guests actually tasted the diaper. Crazy but fun! I know a lot of people are really opposed to games at showers, but I love them and think they make people open up, move around and get to know each other. Plus it’s fun to win prizes! Congratulations to Kari and Joe! I can’t wait to meet your little guy in just a couple of weeks! Send photos, stories and tips about the fancy parties in your life to be featured on live the fancy life to livethefancylife@gmail.com. Live the fancy life! 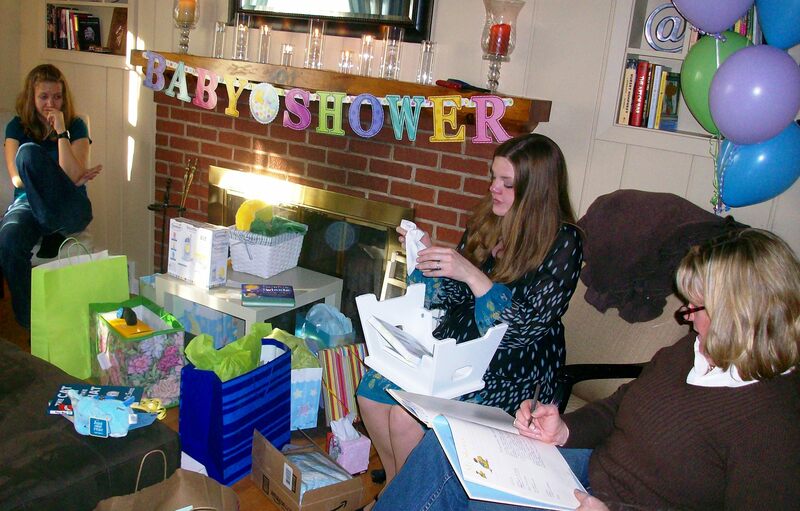 7 Responses to "fancy baby shower!" Are we allowed to submit more than once?!?!?!? Online shopping and browsing fashion blogs after work and on the weekend with a glass of wine makes me feel FANCY! Saying it makes me feel FANCY! Yes! You can comment as many times as you want and I’ll donate a can every single time! Thanks! It was the fanciest baby shower and I was happy to be there! 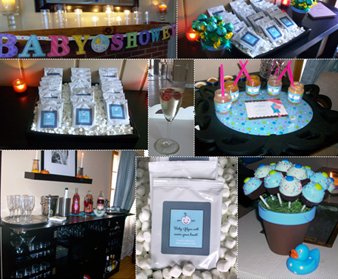 Thanks again for the great baby shower, Jessy! Keep up the good bloggin’!